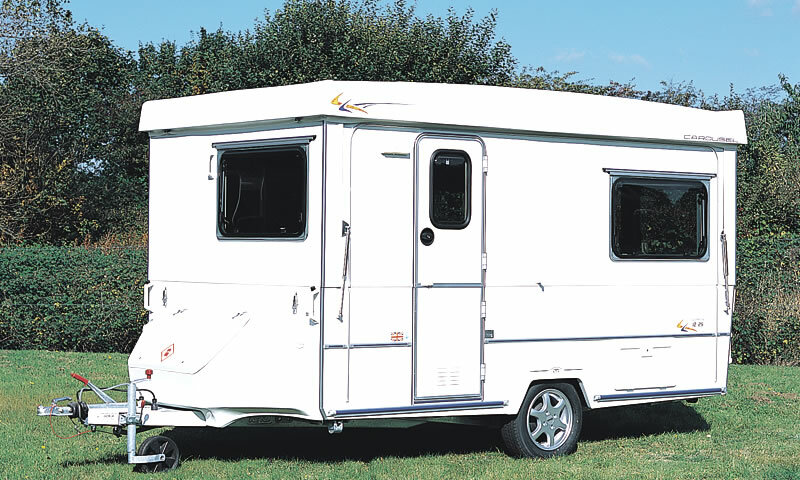 The Carousel Slimline Range has been specifically designed to meet the needs of the caravanner for whom storage space is paramount. All three Slimline models are just 1.72m (5ft 8in) wide – no wider than the average car. This makes them more than ideal for the first-time caravanner, or for those with a smaller car, limited access or minimal storage space back home. 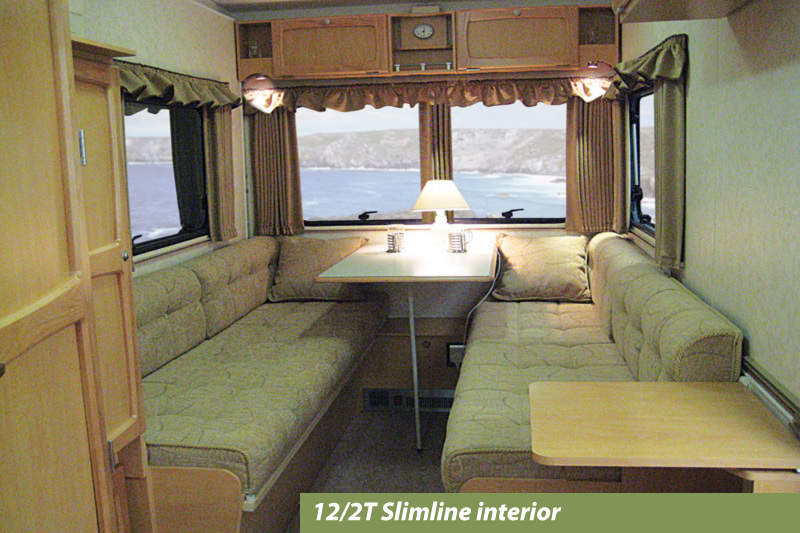 The Slimline is available in both 3.10m (10ft) and 3.56m (12ft) body lengths. 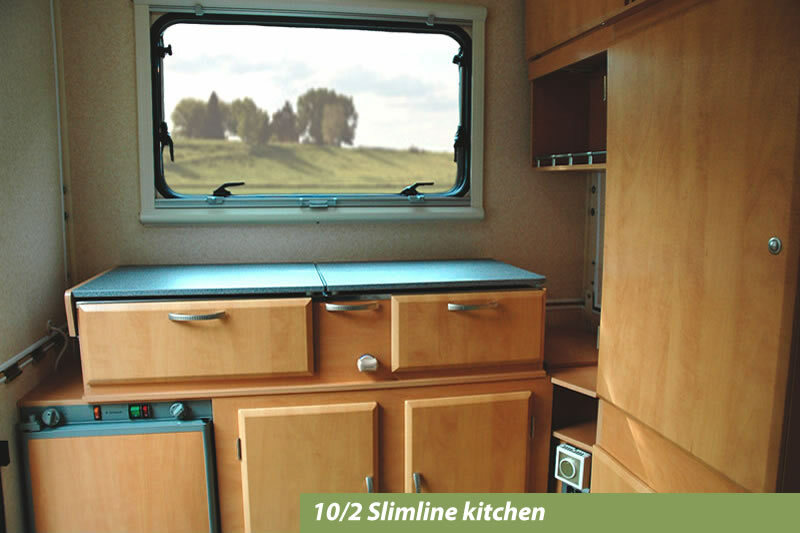 All three layouts offer the option of either 2 single beds or a large double bed.The 12/2T Slimline also features a toilet compartment with vanity unit, wash basin and cassette toilet – all fitted as standard. 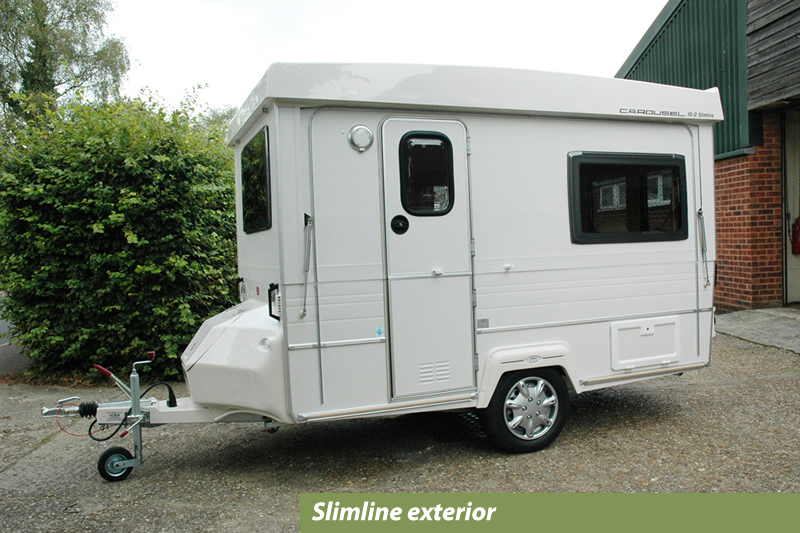 Each Slimline for sale may well include other optional extras, available at the time, to enhance the caravan still further. The technical specs shown are to be used as a guide only, as items such as weights etc will have altered over the years. please contact us for details of any specific model you are interested in. There have been many Carousel Standard Width models, all made to the same exacting standards. 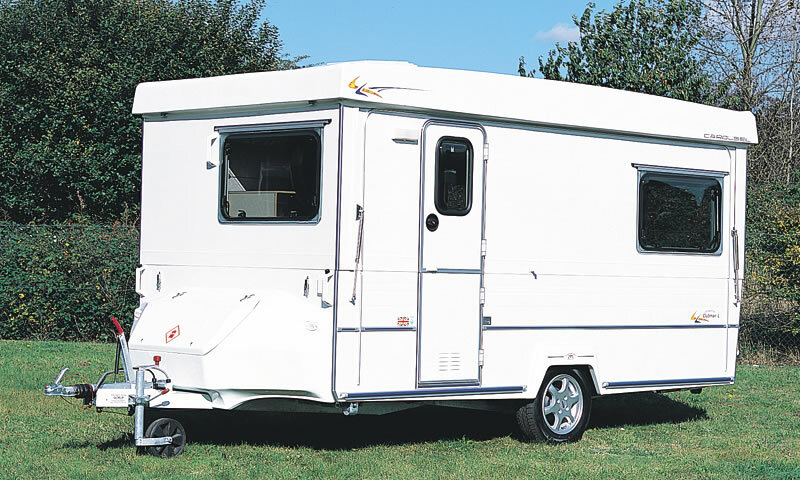 The largest models in the Carousel range providing the ultimate in folding caravan luxury.